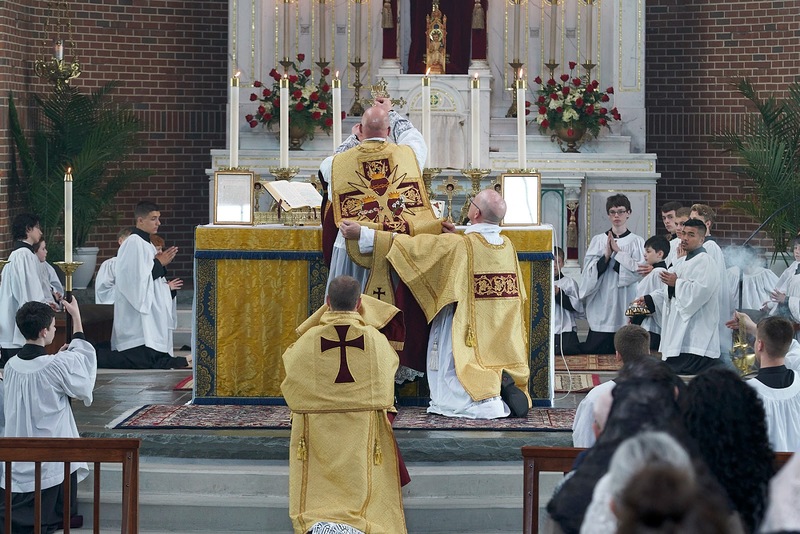 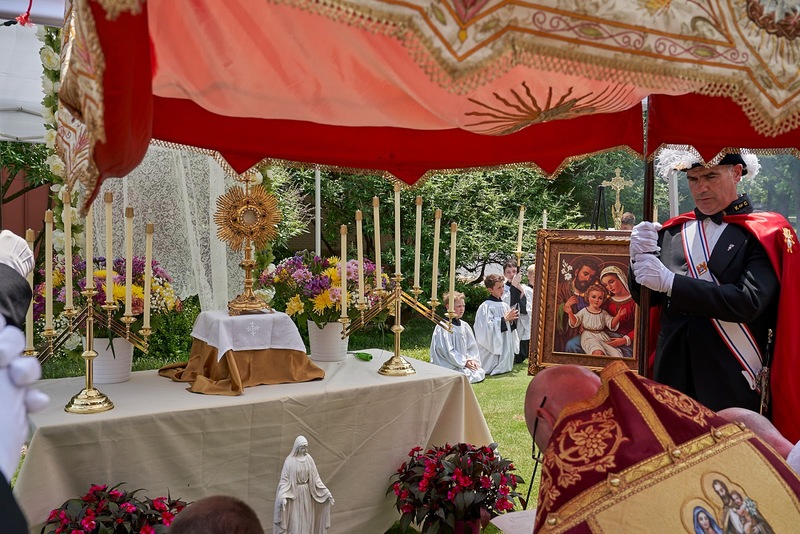 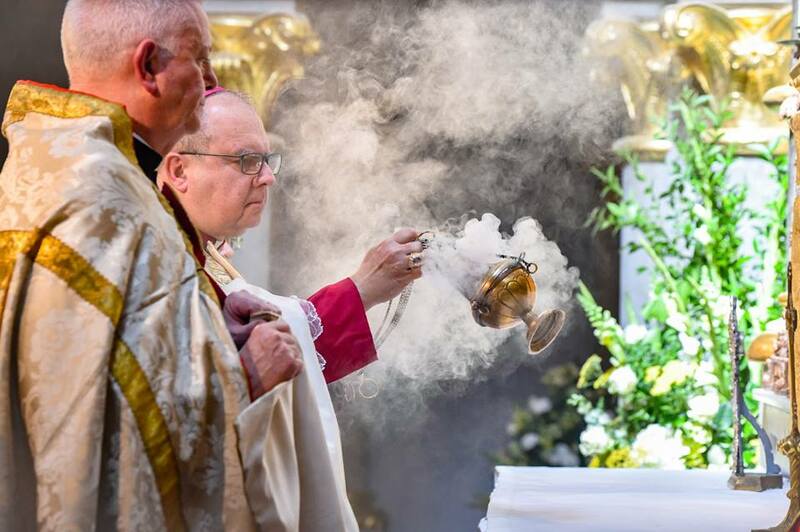 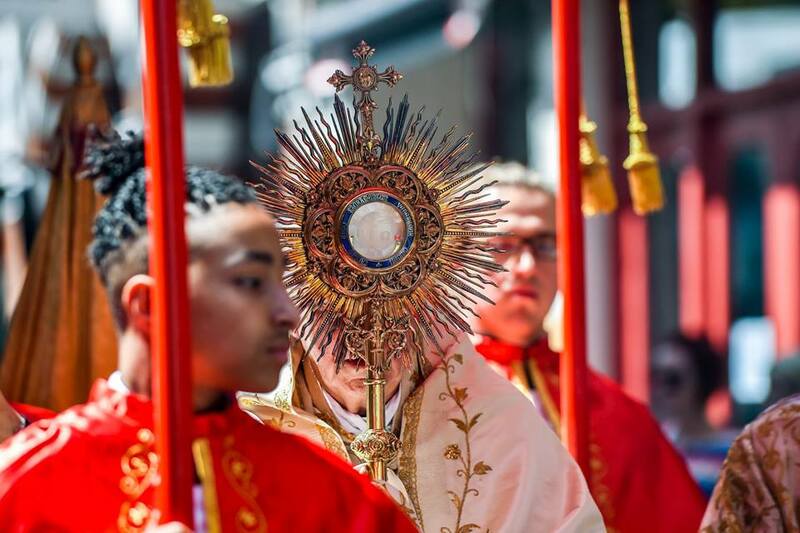 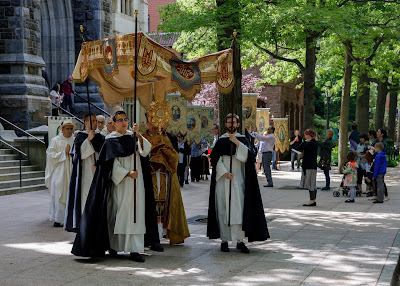 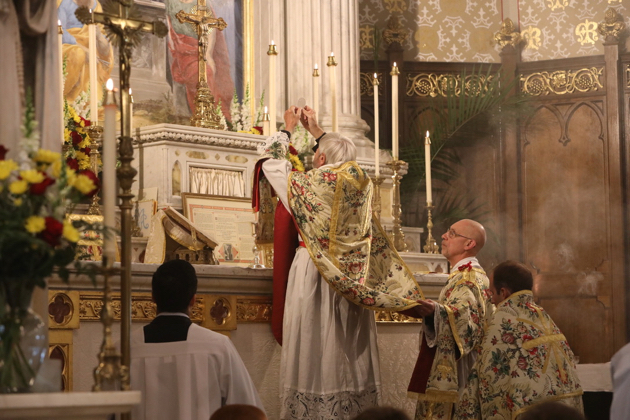 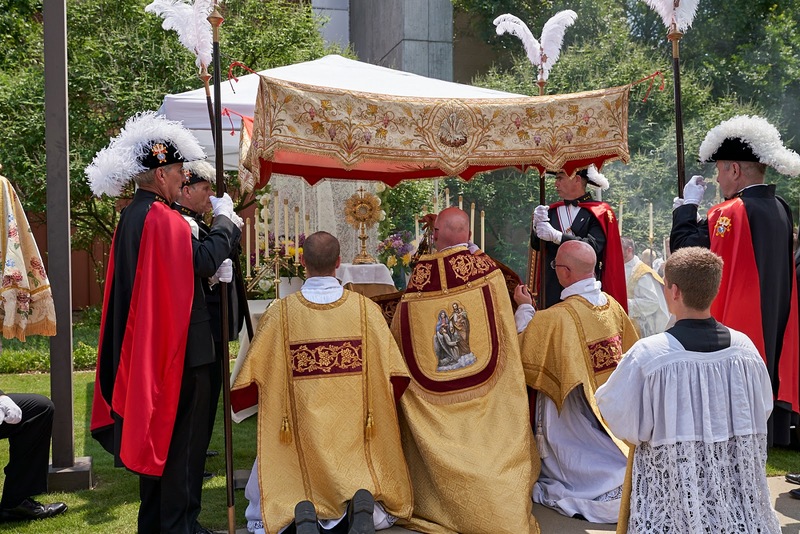 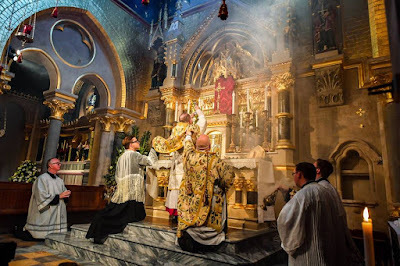 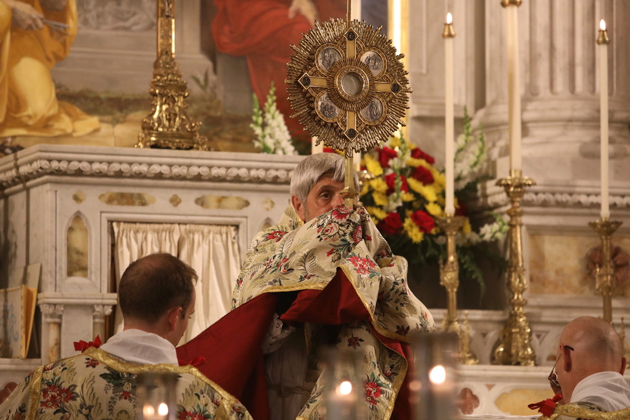 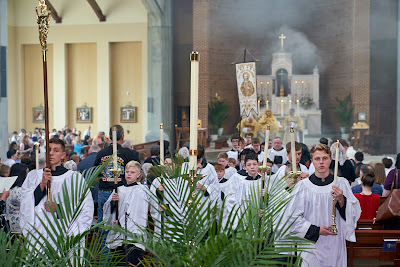 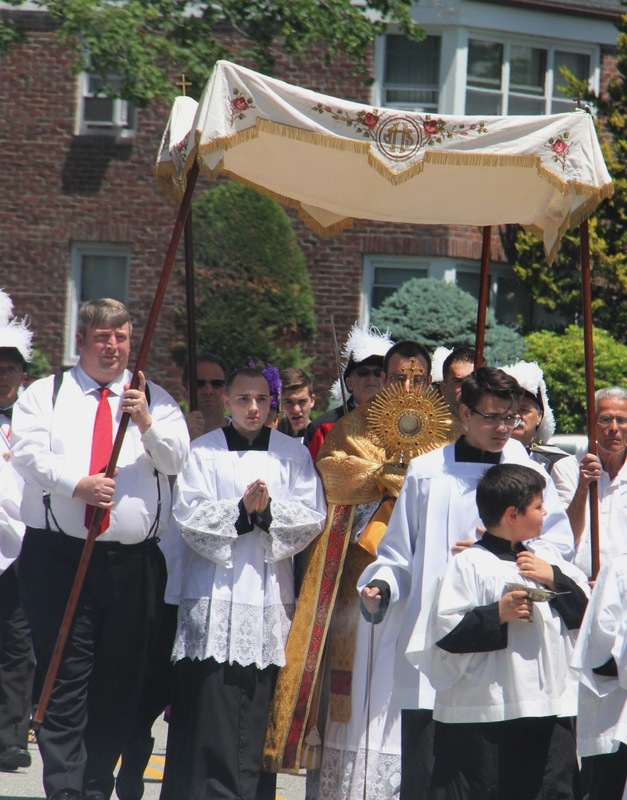 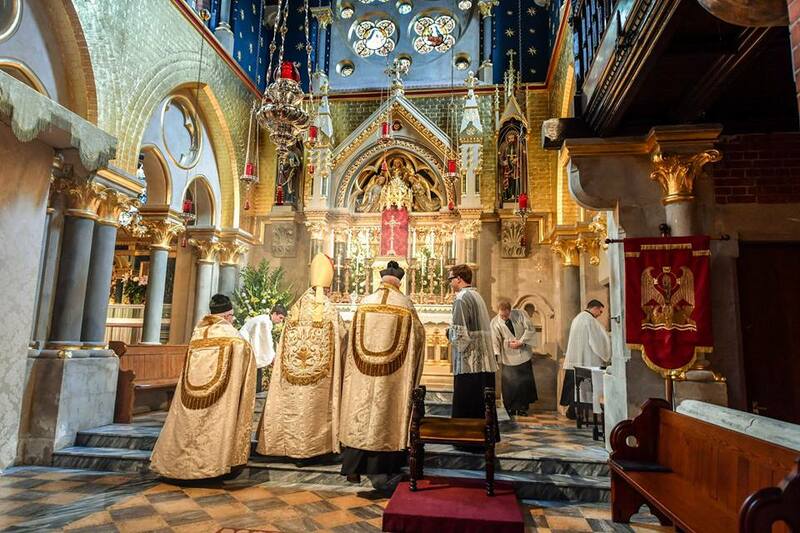 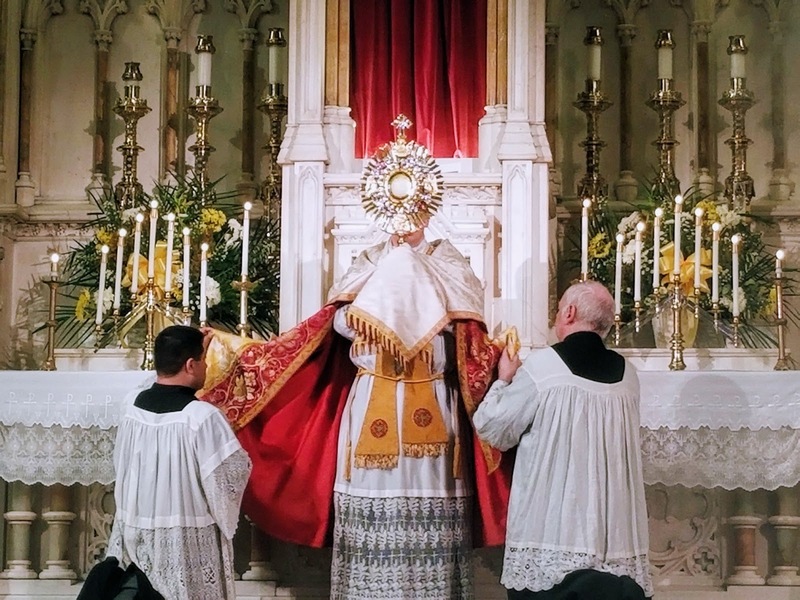 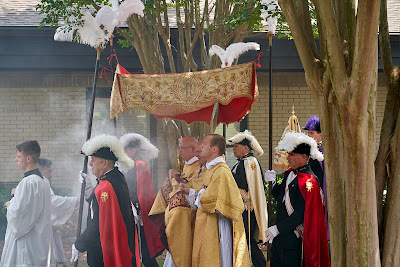 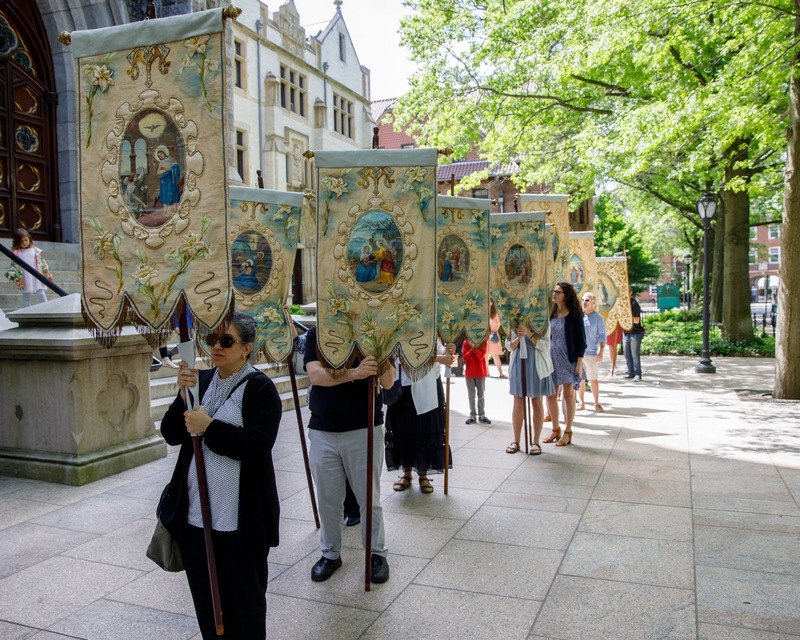 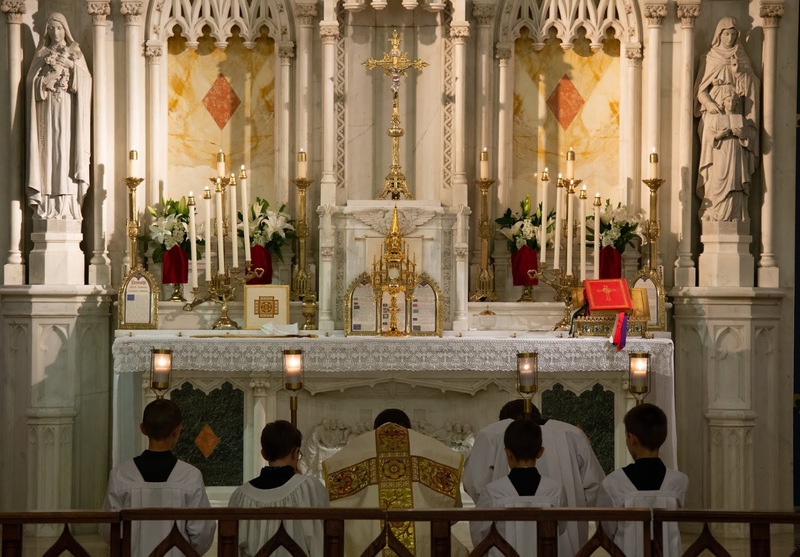 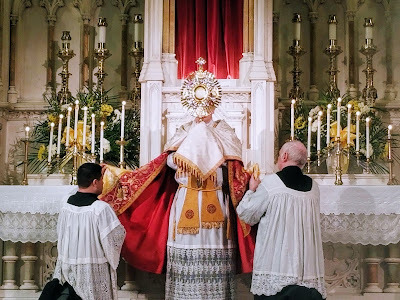 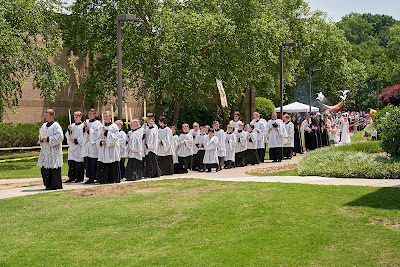 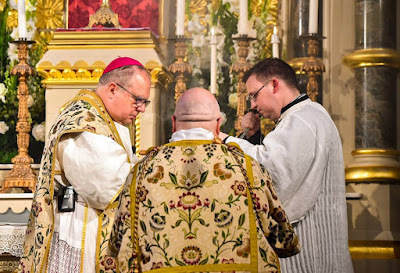 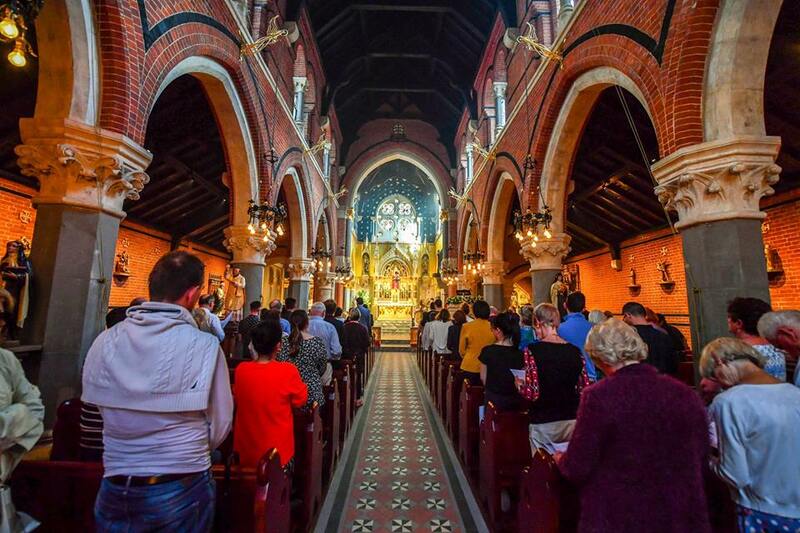 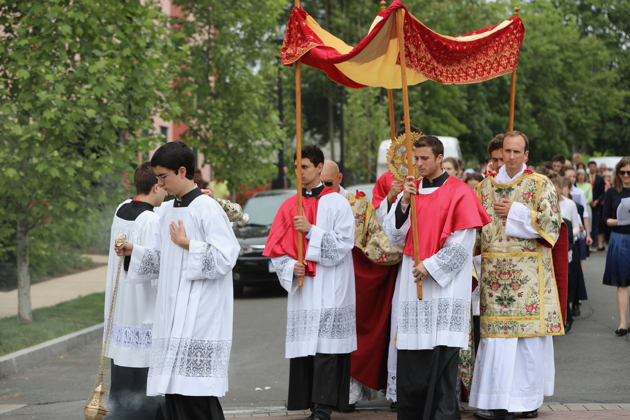 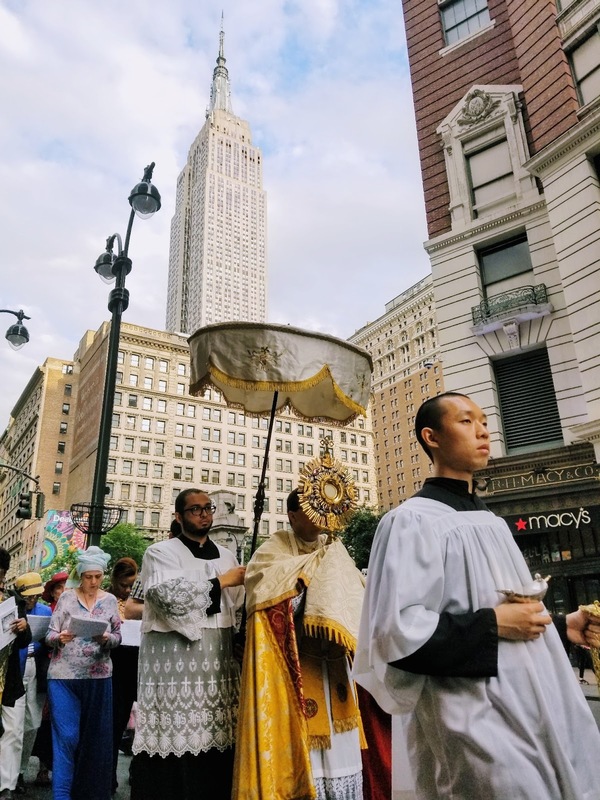 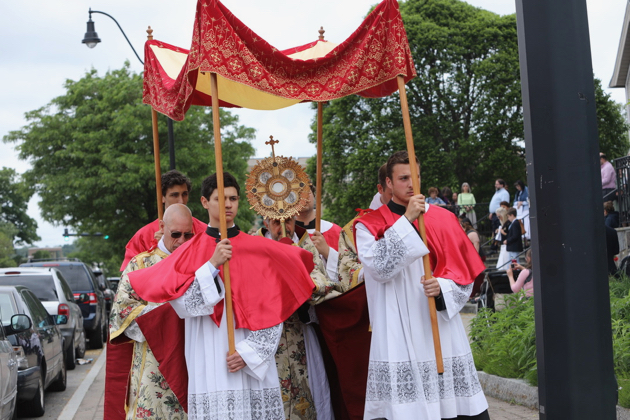 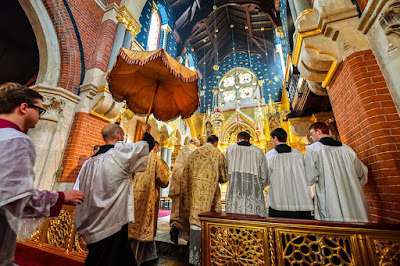 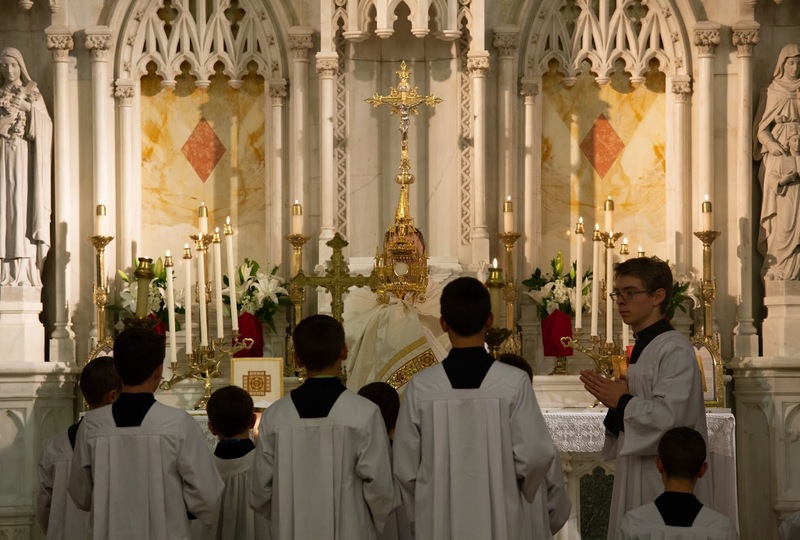 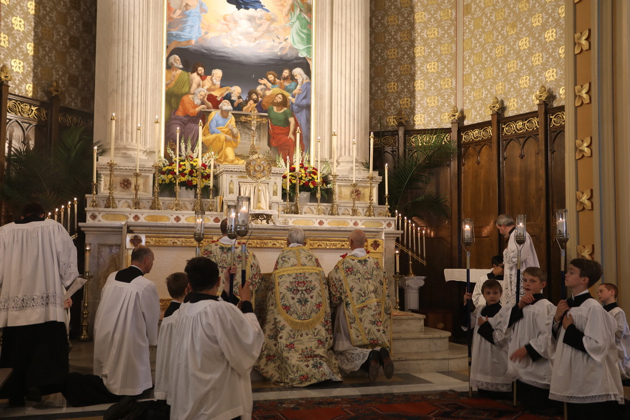 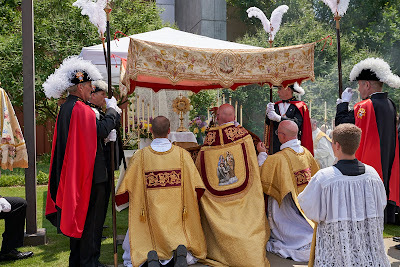 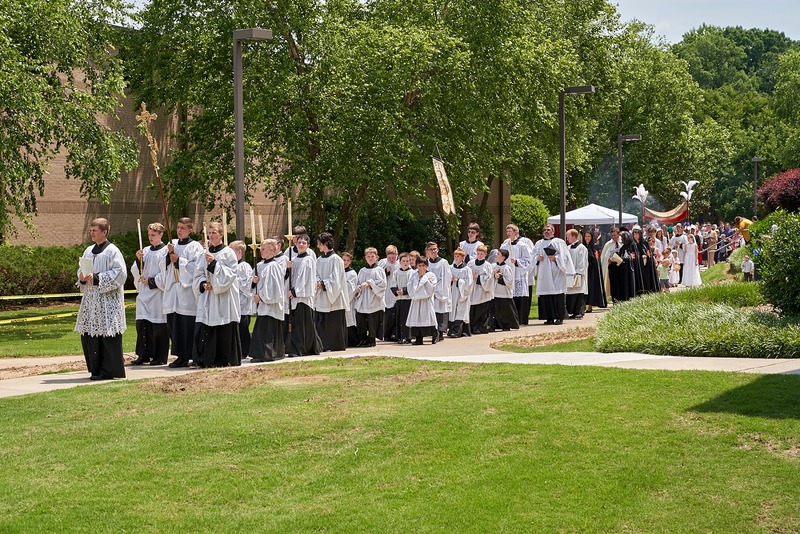 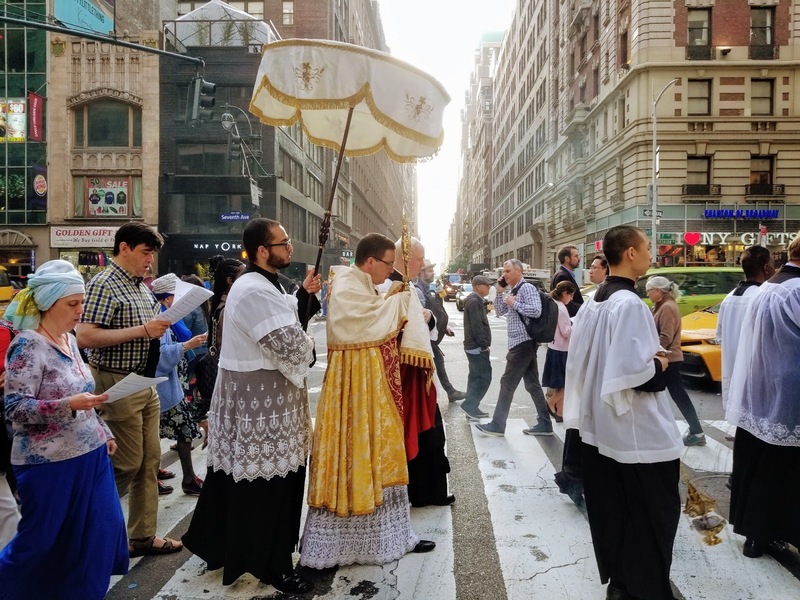 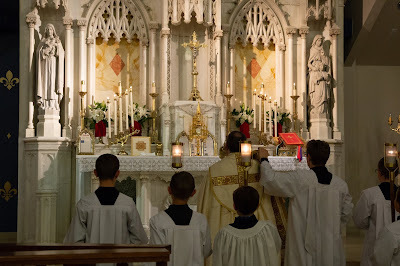 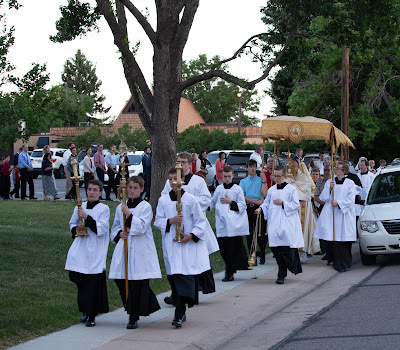 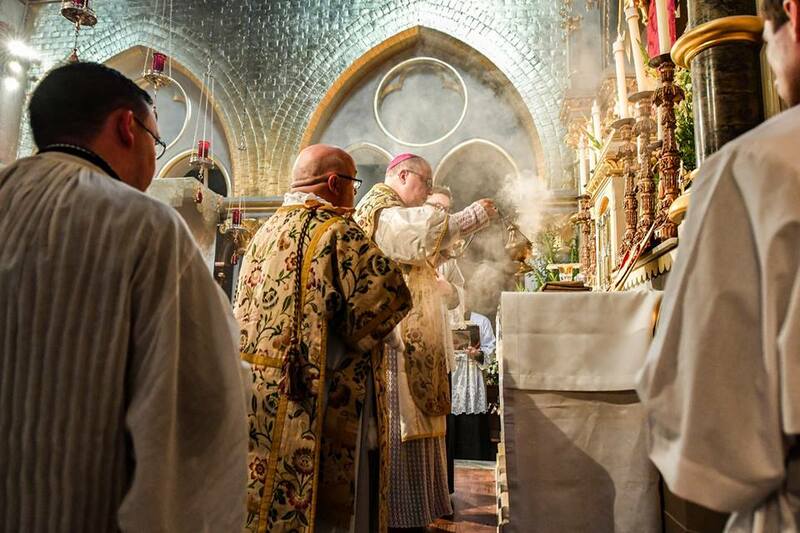 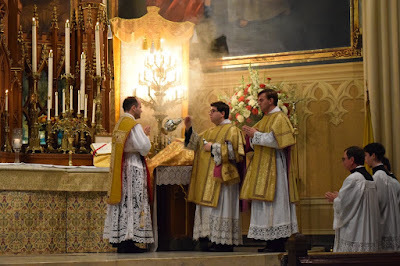 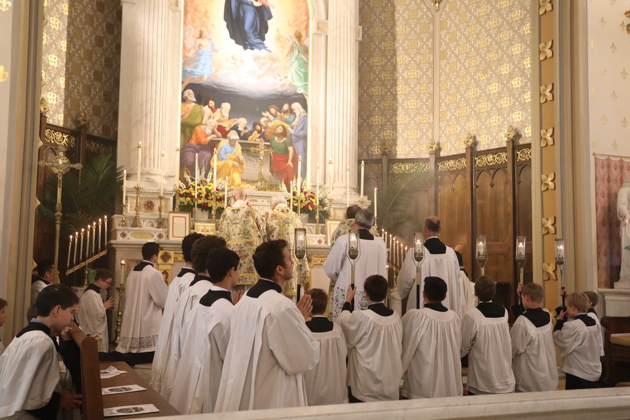 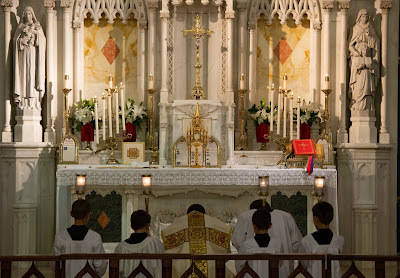 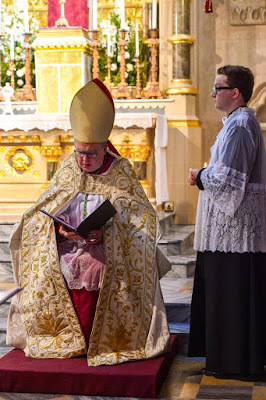 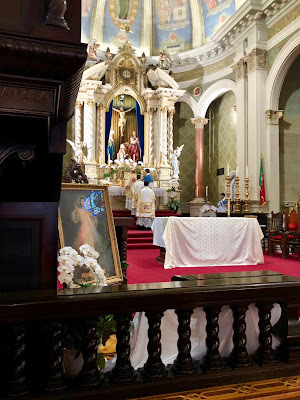 In addition to a lot of beautiful images (the selection of which among so many is the most difficult part of preparing these,) we have a few special items in our final Corpus Christi photopost: celebrations in London for a new diocesan shrine, two first Masses, and a Missa coram Sanctissimo. 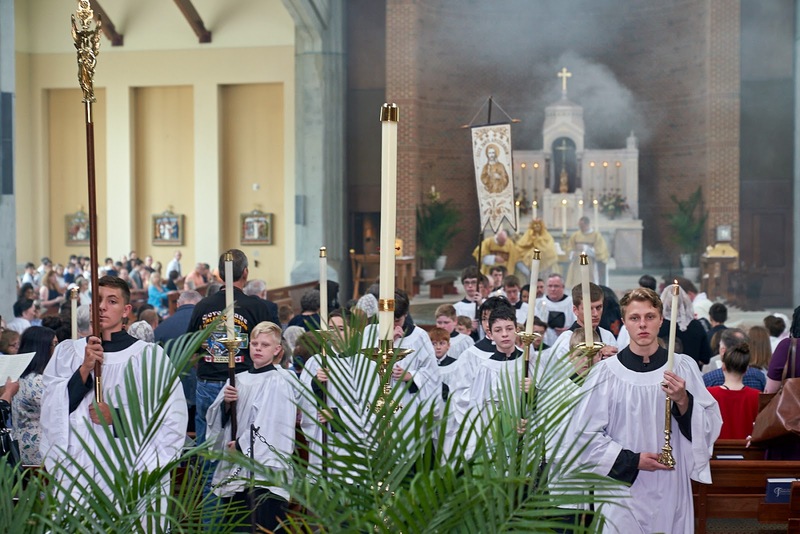 As always, our thanks to all those who sent these in, participating in the good work of evangelizing through beauty! 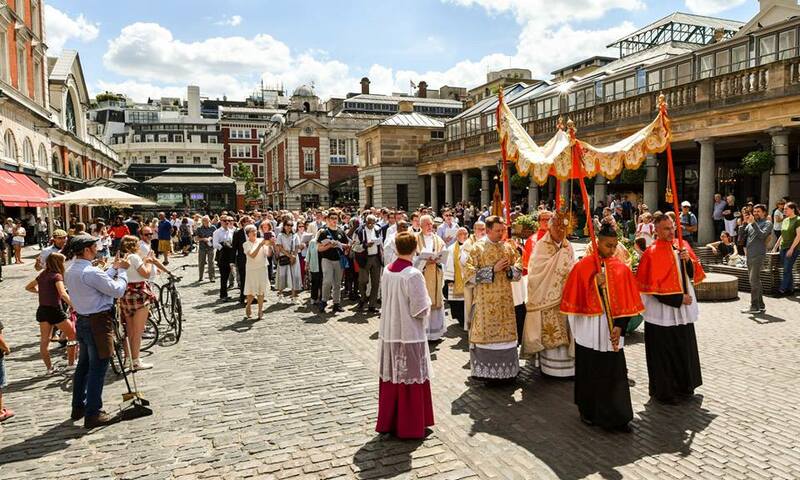 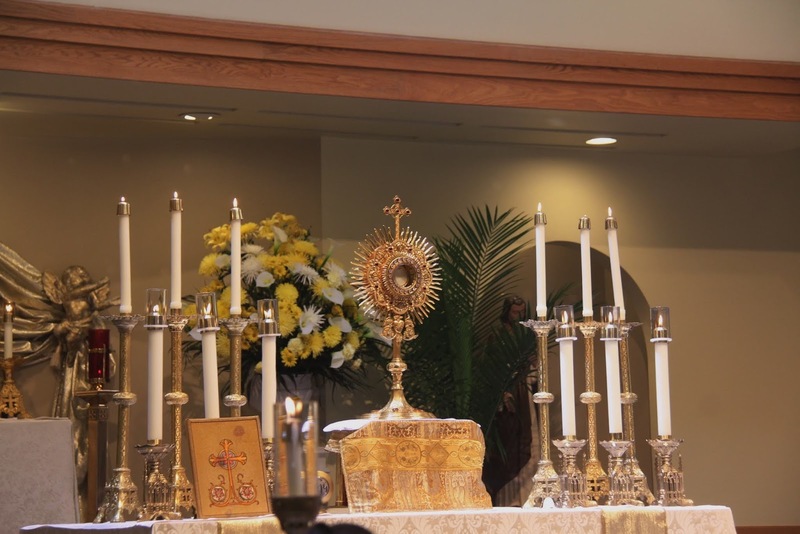 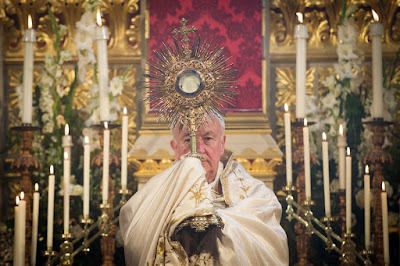 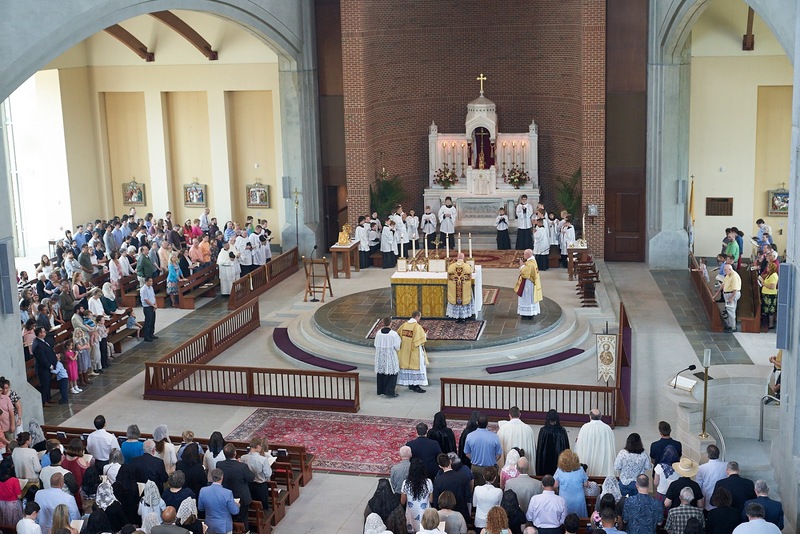 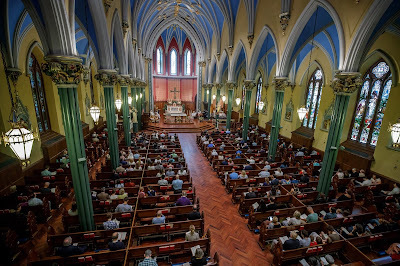 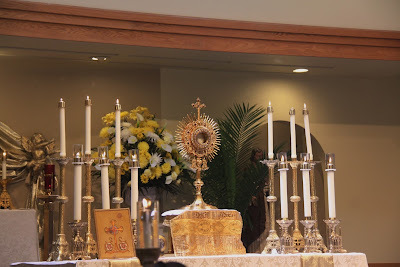 The church had a week-long series of events to mark its official reopening, culminating in a Pontifical High Mass on Corpus Christi, celebrated by His Eminence Vincent Cardinal Nichols, Archbishop of Westminster, who officially established it as a Diocesan Shrine dedicated to the Blessed Sacrament. 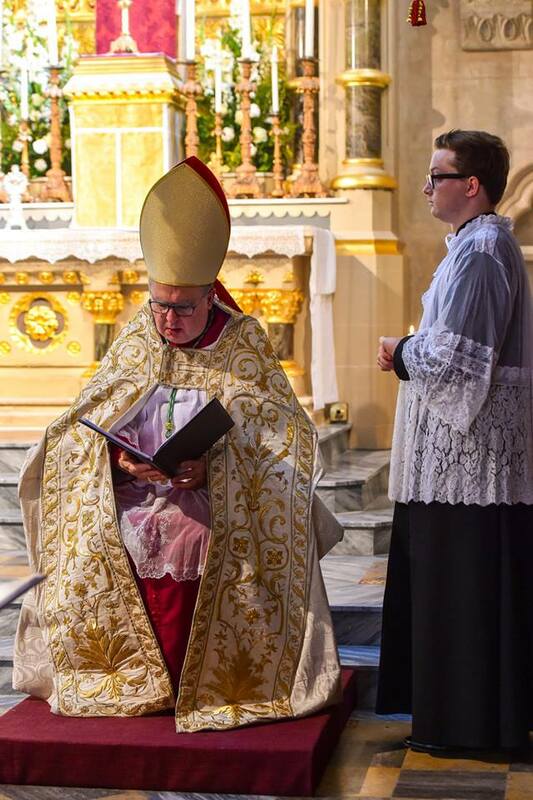 First Vespers and the vigil Mass were celebrated by His Excellency Robert Byrne, Auxiliary Bishop of Birmingham. 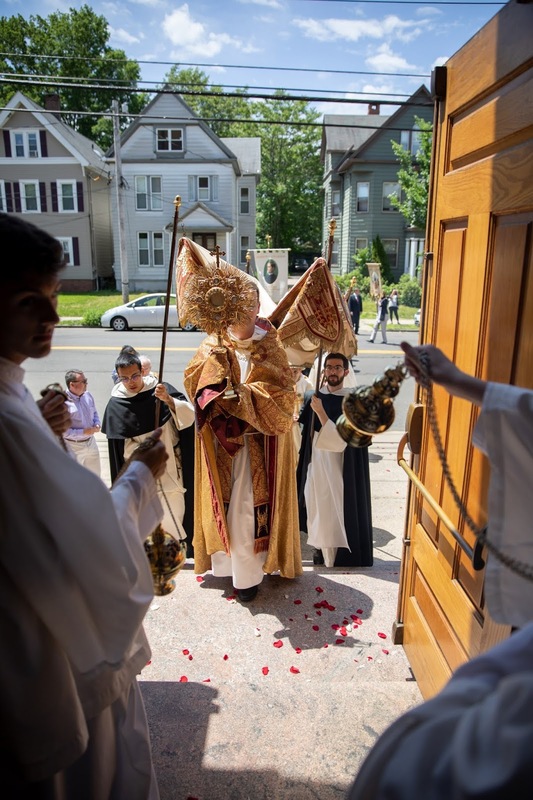 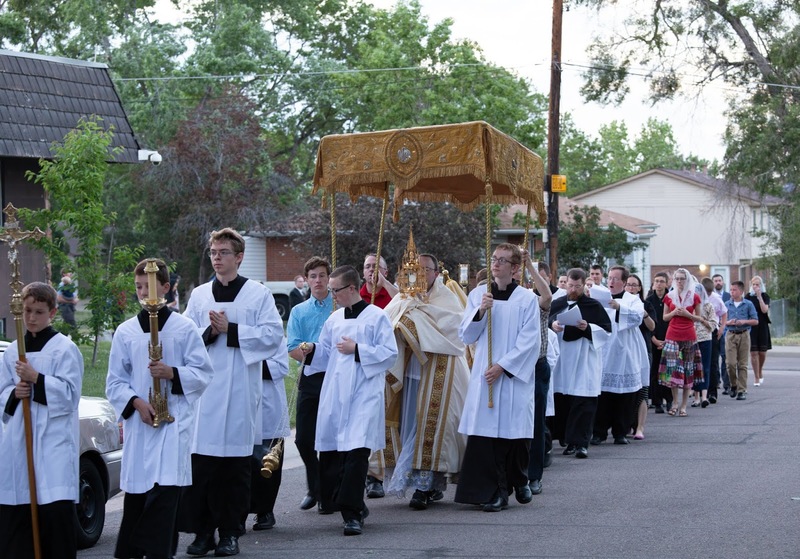 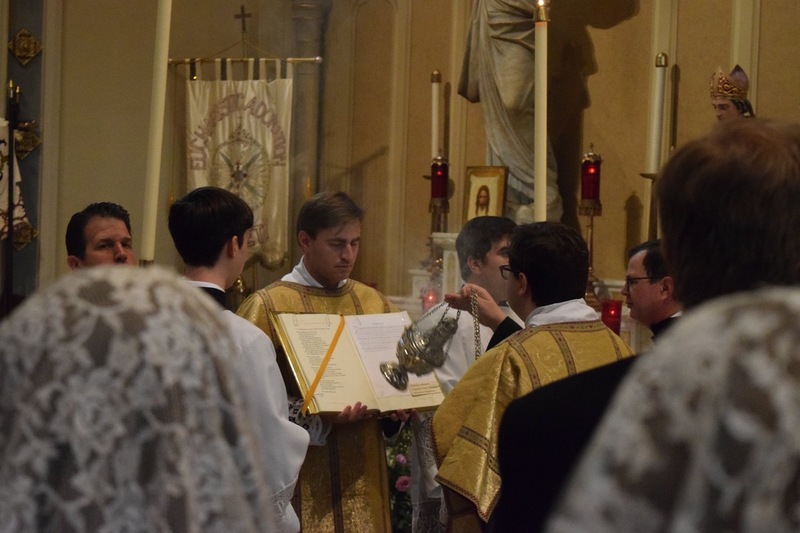 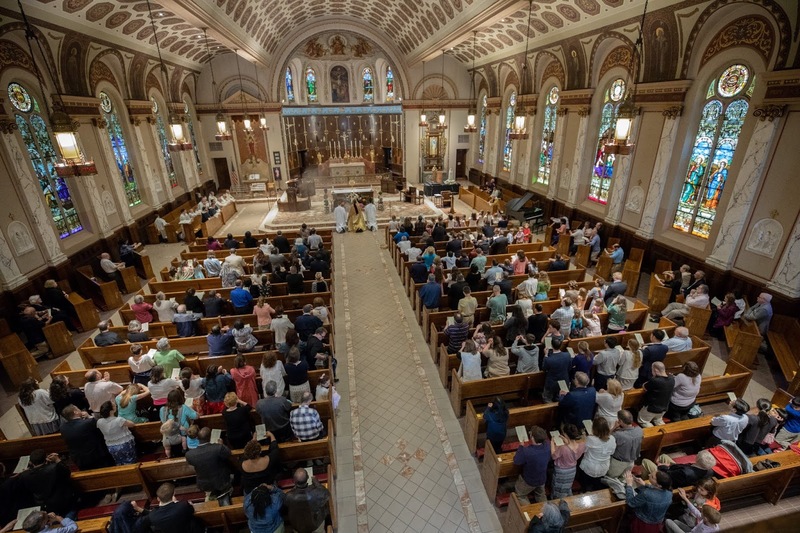 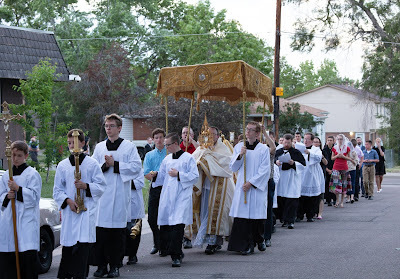 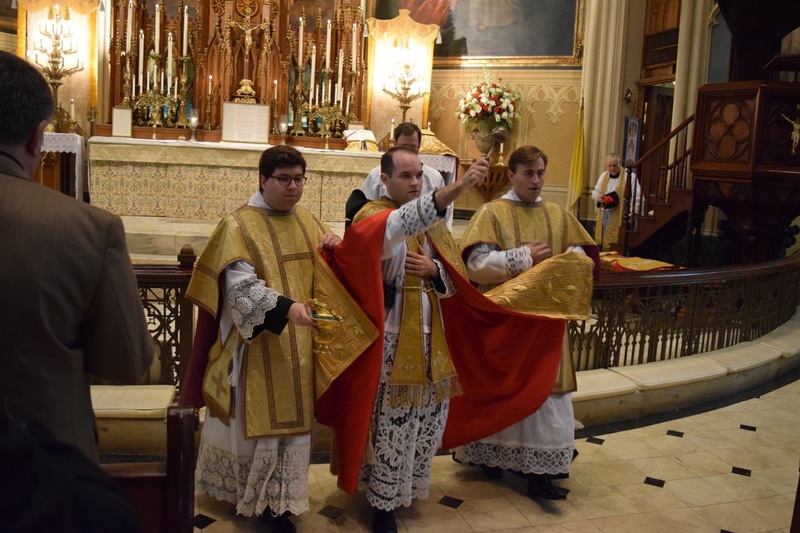 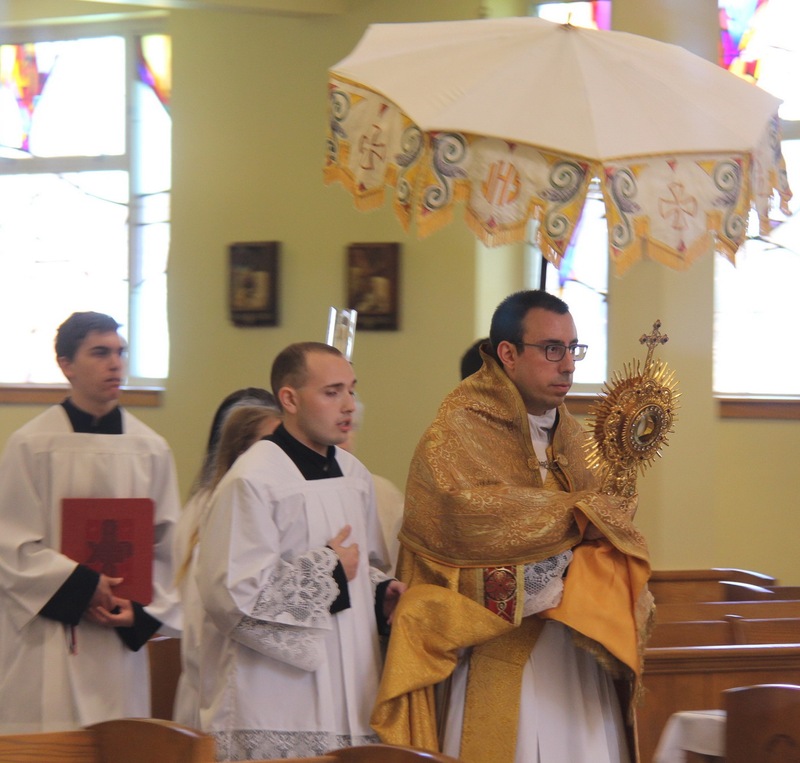 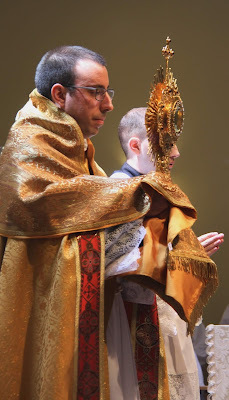 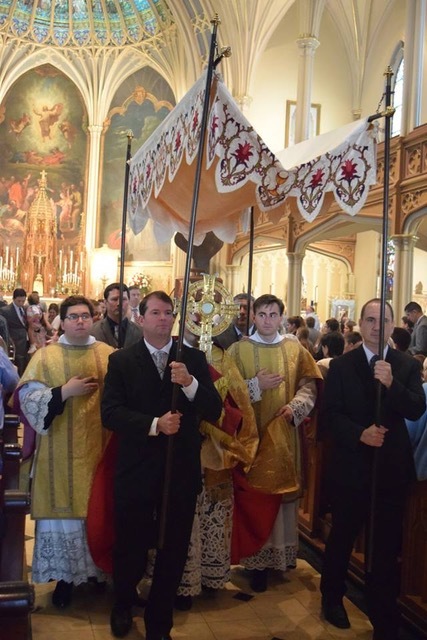 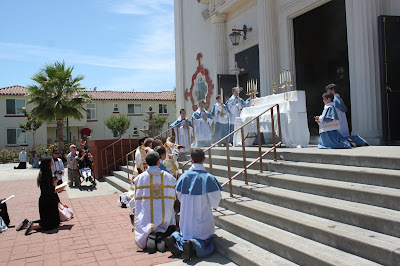 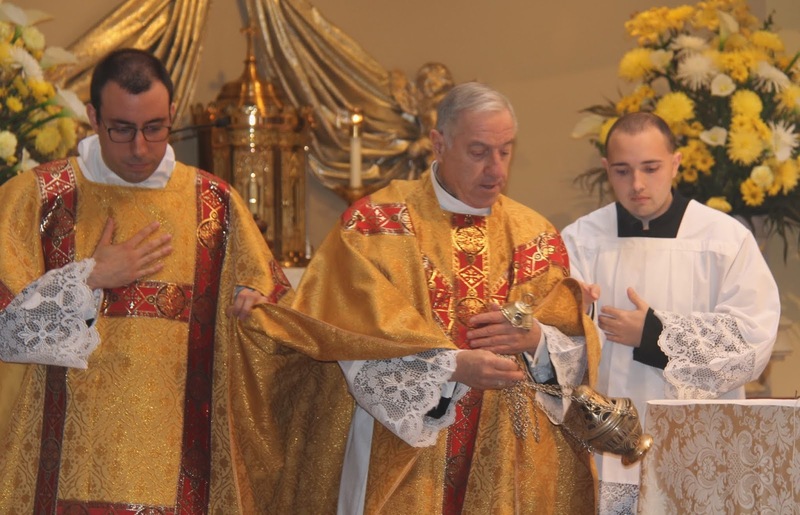 The celebrant, Fr Andrew Rapaport, FSSP, was ordained in Nebraska on May 26. Because it was his first Mass at the Oratory, which he often attended when visiting relatives, he gave his First Mass Blessing at the altar rail afterwards. 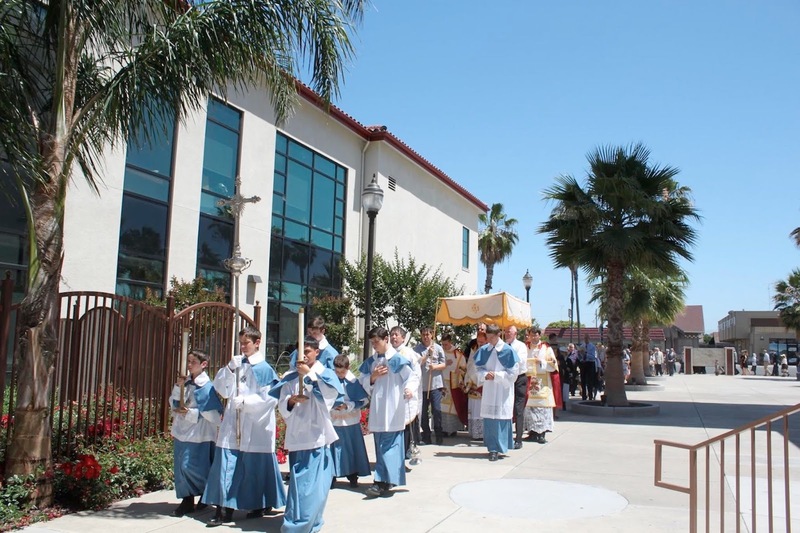 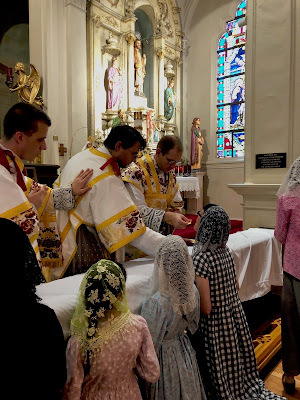 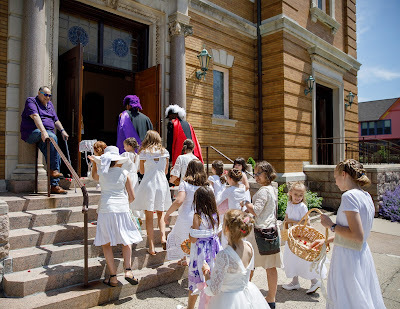 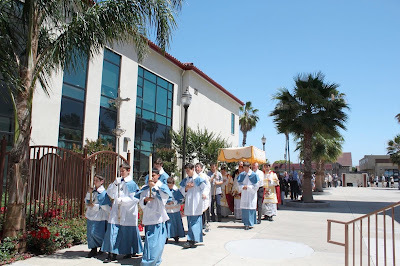 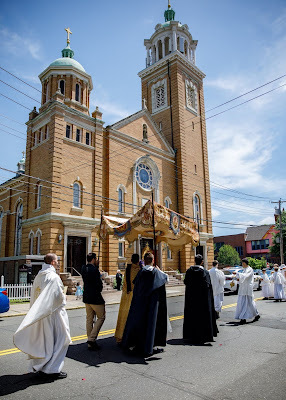 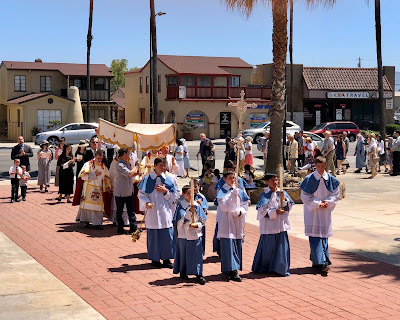 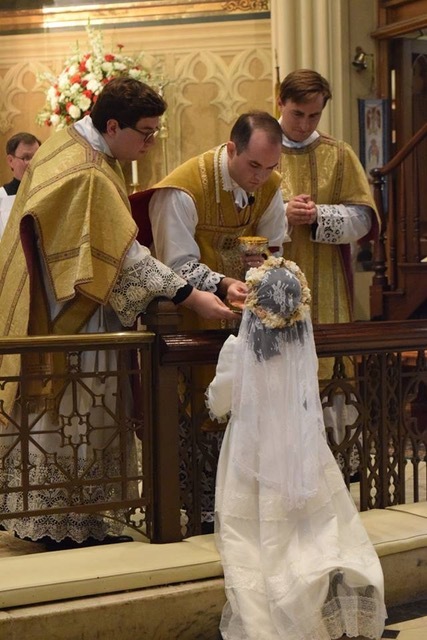 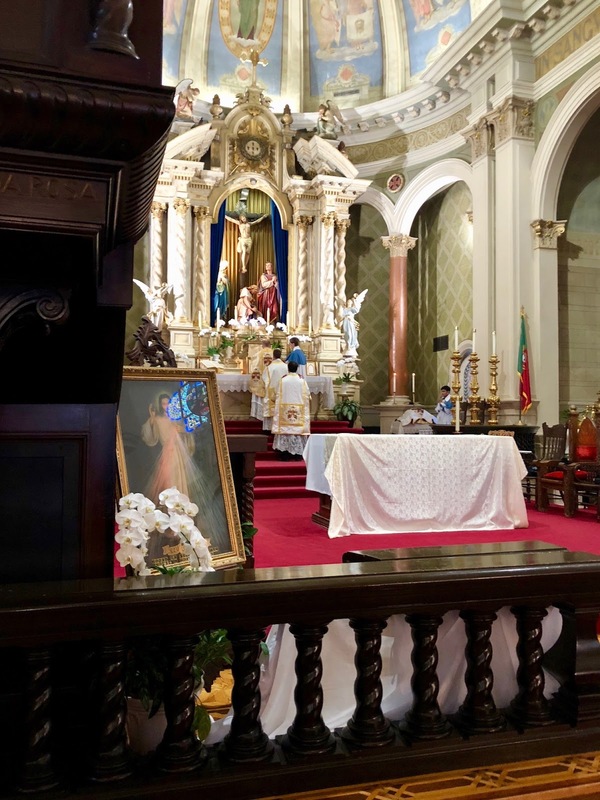 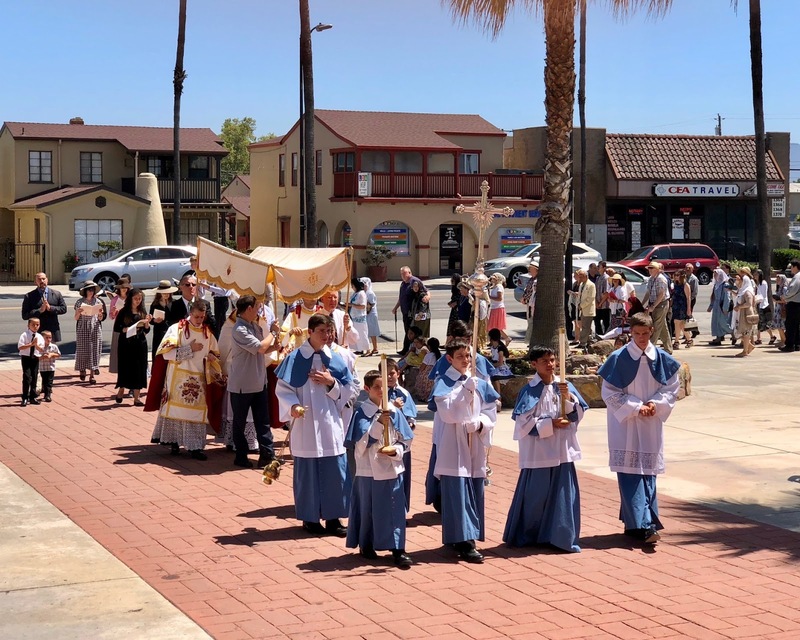 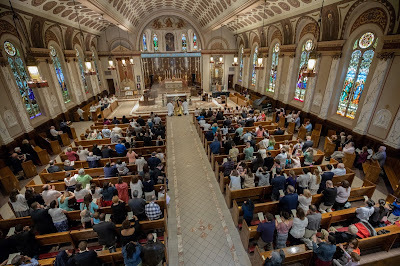 Fr Aaron Williams was ordained to the priesthood on May 31 for the Diocese of Jackson, and the following Sunday celebrated his first Solemn Mass in the Extraordinary Form for the external solemnity of Corpus Christi, at which six children from the parish made their First Communion.